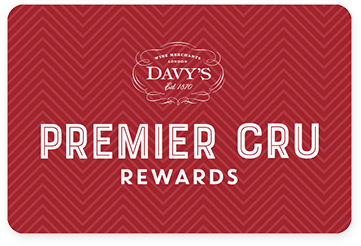 Premier Cru Rewards - Purchase this today and earn 70.5 points to redeem for free wine and gifts. Klein Constantia was once part of Constantia estate, created in 1685 and came to fame with its iconic sweet wine ‘Vin de Constance’. Today their premium estate range is led by a world acclaimed and highly popular Sauvignon Blanc that regularly garners awards and praises as one of South Africa’s best wines. Aged for 12 months in 50% new French oak barrels, it has intense red and black fruit aromas with elegant notes of cinnamon spice. Full bodied and savoury with well integrated oak flavours, and a long and rich finish. Klein Constantia was once part of Constantia estate, created in 1685 by Van der Stels. He planted the first Muscat de Frontignan that gave birth to the famous sweet wine ‘Vin de Constance’. At the time the estate covered the whole valley but got divided though time. Klein was inherited in the early 19th century. After the phylloxera, the farm fell into decline until the 1970s when vines were replanted and later the iconic ‘Vin de Constance’ was revived. Since 2012 Klein Constantia has merged with Anwilka Vineyards and is under the ownership of Zdenek Bakala, Charles Harman, Bruno Prats and Hubert de Boüard, owner of Chateau Angelus. Today Klein Constantia’s premium estate range is led by a world acclaimed and highly popular Sauvignon Blanc that regularly garners awards and praise as one of South Africa’s best wines. View our range. The 146 hectares is planted with mainly Sauvignon Blanc and some Chardonnay, Cabernet Sauvignon, Pinot Noir, Riesling and Muscat de Frontignan. Simple winemaking techniques are used to create wines that expresses their terroir. Premium Estate range with Sauvignon Blanc, Chardonnay, Red Blend and Riesling along side easy-drinking KC Range, Vin de Constance and Sparkling Method Classic.